Stress Free With These Stressbusting Tips! Please welcome Sarah Scrafford who was kind enough to write a very interesting and thought provoking guest post for Health Nut Wannabee Mom blog! I hope you will visit her site for more great information! Thanks for the great article Sarah! By decreasing your metabolism: Medicines for the common cold, cough, flu, or in general any antihistamine, come loaded with the chemical diphenhydramine. This has a sedating effect, and when taken often, makes you feel lazy and sleepy all the time. Your metabolism is affected and you don’t burn as many calories as you normally do. Sedatives that are prescribed for insomniacs also tend to have the same effect. By increasing your appetite: Drugs and steroids that are prescribed for depression and chronic conditions like migraine, arthritis and rheumatism tend to affect your mood and your appetite. They increase your cravings and make you think you’re hungry even when you’re not. By retaining water: The human body is made up of 70 percent of water, and some drugs force your body to retain water that should, under normal circumstances, have been sweated or urinated out. Fertility and birth control drugs that contain estrogen are infamous for exhibiting this effect. Medications are sometimes necessary and even mandatory for good health, but there are times when they serve to make you heavier. It’s best to be aware of the side effects of anything your doctor prescribes, and take preventive action by working out regularly and controlling your eating habits. Also, never stop taking your medication just because you feel it’s making you put on weight. You could end up jeopardizing your health, and at the worst, your life, if you take any drastic step without consulting your doctor first. One preventive measure you could undertake is to stop popping pills that you get easily over the counter – these drugs are at times addictive (especially the ones that are supposed to cure coughs) and can end up doing you a double disadvantage by becoming a bad habit as well as making you gain weight. This article is contributed by Sarah Scrafford, who regularly writes on the topic of EKG Training Courses. She invites your questions, comments and freelancing job inquiries at her email address: sarah.scrafford25@gmail.com. It seems like I am always looking for a new way to stay slim and healthy and I am not quite sure why this is because really there is no magic solution. As the ten easy to follow rules for weight loss show we just need to stick to the basics and we will be alright. By following the 10 rules below obese adults who were given a pamphlet with these 10 basic rules were motivated enough to lose 4 pounds in 8 weeks. By following them all you could take off up to 900 calories a day-which is about 15 pounds over an 8 week period. Really not too tough to do and simple to follow. 1. Choose low fat foods. 2. Pack healthy snacks-think fruit, veggies, organic cheese sticks, nuts instead of chips, or candy bars. 5. Eat small to moderate portions and skip seconds. 6. Check the fat and sugar content on lables-remember that even things like ketchup and pasta can be packed with sugar so you want to really keep your eyes open. 7. Avoid high caloric and sugary drinks-They may taste great but moderation is the key here if you must have them. 8. Eat your meals on a regular schedule-I know this can be tough sometimes on a busy schedule but try your best and keep healthy low-fat snacks with you when you may have to skip a meal. I try to eat lots of small meals each day and this keeps me from getting too hungry. 9. Wear a pedometer and walk 10,000 steps a day. Hmmmm-I have not tried this one but probably should. I always wondered how much I really walk in a day. 10. Turn off the television while you eat. I can see how this would help as it is easy to sit and watch tv while eating comfort food. It diverts your attention from how much you are actually eating. Ref-Prevention magazine 2008-my new fave. These really are simple and easy to follow and basic rules to help you take or keep the weight off. P.S. I am way, way behind on my entrecard drops and commenting but hope to get caught up over the holiday weekend so please know I will get going on this. Also, to all of you who celebrate Thanksgiving-Happy Thanksgiving (We make a Tofurkey). This sounds incredible and I know that I am going to sign up to receive some of this free and useful information. Christopher has created his own product for all of us which is called “Pain Free Knees” to teach basic concepts about trigger points and the use of self-massage to relieve knee pain. Please visit his site at Fitness Philosopher if you would like more information on the 12 Days Of Fitness and to learn more about his free product. I don’t generally sign up for a lot of free things but this seems like something that we could all benefit from and anything that Christopher is excited about gets me excited (he whipped my body in to shape and really knows his health and fitness). P.S. I will be passing on some awards and tags this week so check back. I may just tag or give you an award. With my 40th birthday looming ahead of me in the next few weeks I do sometimes think (not to be morbid or anything) of how long I will live and if my life is half over, etc, etc (you get the point). I saw this article on “Surprising Signs You’ll Live Longer Than You Think” and could not resist sharing it with you. Now, I will say this, I do want to live a long time more (as long as I am in good health and can take care of myself) but I don’t want to outlive everyone in my peer group. You know those stories you read about last living survivor of the Titanic, or oldest living woman-well I don’t want to be that old but you know-within reason. Anyway, I could go on and on so I will stop before you think I am really over thinking this (because of course I am) and get onto the signs. *Your mom had you young-If your mom had you when she was under the age of 25, you’re twice as likely to live to 100 as someone born to an older mom (uh oh now I feel bad for my kids-I had them in my 30’s). The theory is that younger moms’ best eggs go first to fertilization, thus healthier offspring. *You love to drink tea-Both green and black teas contain a concentrated dose of catechins, substances that help blood vessels relax and protect your heart. In a study of more than 40, 500 Japanese men and women , those who drank 5 or more cups of green tea every day had the lowest risk of dying from heart disease and stroke. You really need only 1 or 2 cups of tea daily to start doing your heart some good-just make sure it’s a fresh brew. Ready-to-drink teas don’t offer the same health benefits (once water is added to the the tea leaves the catechins start to degrade). Hmmmmm- I drink at least 5 cups of green tea a day but I must say it is not fresh brew. I need to consider this. *You’re a walker-People who walk for about 30 minutes a day are more likely to live longer regardless of how much body fat they have. *You are not a soda drinker (even diet)-As I sit here with my sinful yet delicious bad habit diet Pepsi (my main vice next to chocolate) this article says that scientists in Boston found that drinking one or more regular or diet colas everyday doubles your risk of metabolic syndrome-a cluster of conditions, including high blood pressure, elevated insulin levels, and excess fat around the waist that increase your chance of heart disease and diabetes . I know soda is horrible and diet especially but for some reason I occasionally crave it and when I have a lot of stress (like now) I want a rude diet Pepsi to soothe me. It is just one of those things that you know you should not be doing but cannot quite help yourself (I tend to do this on occasion). *You eat purple food- I have said this many, many times but Concord grapes, blueberries, red wine (no, this is not an excuse to go get drunk on red wine) : They all get that deep, rich color from polyphenols (compounds that reduce heart disease risk and may also protect against Alzheimer’s disease). Polyphenols help keep blood vessels and arteries flexible and healthy. Researchers found that eating 1 or more cups of blueberries every day may improve communication between brain cells, enhancing your memory. *You are not a burger eater (hooray-save the cows on this one)- A few palm-size servings of beef, pork, or lamb now and then is no big deal (it is for who you are eating-okay off my animal rights soapbox) but eating more than 18 ounces of red meat per week ups your risk of colorectal cancer (the third most common type). Colorectal cancer risk also rises by 42% with every 3 ½ ounce serving of processed meat (think deli meats, bacon, hot dogs) eaten per day. I don’t want to say I told you so but uh huh. *You have good friendships- having good friendships help alleviate stress and knowing that you have people who support you keeps you healthy mentally and physically. *You don’t have a housekeeper-okay I am on this one-not only do I not have a housekeeper, I am the housekeeper (does that make sense? )- The average person can burn about 285 calories (lowering risk of death by 30% according to a study of 302 adults in their 70’s and 80’s) just by mopping, vacuuming, or washing windows for a little more than an hour. *You have a positive outlook on life- In Sardinia and Okinawa, where people live the longest (I never knew this), hard work is important, but not more than spending time with family, nurturing spirituality and doing for others. I really think doing for others is the key-I never feel better than when I do something selfless to help an animal or person. So, how did your lifestyle stack up to these live longer signs? Ref-my new favorite magazine-Prevention November 2008. While at my doctor’s office yesterday I picked up the November, 2008 issue of Prevention magazine (usually I head straight for the gossip mags but instead opted for the health one and I am so proud) and found this really interesting information that I thought you would find as titillating as I did. It really does seem what we eat makes a difference in everything we do. On two occasions, scientists gave adults either a drink that decreased serotonin levels or one that maintained them, and then asked the people to negotiate with a partner. Those with higher serotonin levels were less swayed by emotions and their decisions led to better outcomes. “ Okay, maybe this is my problem because sometimes I can make some very impulsive and bad decisions based solely on my emotions. Think snacks that combine carbs and tryptophan-rich food (dairy, soy, or poultry), such as whole grain crackers and cheese: both help to keep serotonin high. A few more healthy options are: turkey, black eyed-peas, black and English walnuts, almonds, sesame or pumpkin seeds, and cheddar, gruyere or swiss cheese. Also helping to a lesser extent are whole grains, rice, and other dairy products .I have also heard that candy such as chocolate (I just knew it-maybe this is why I feel so good after eating it) can have the same effect but is really not your healthiest option." So, now before negotiating with anyone or making any important decisions I am going to grab some almonds and crackers and cheese and hopefully the outcome and my decisions will be favorable. I can just see myself in the boardroom at work eating almonds( and saying I cannot decide until the serotonin effect has kicked in) as we discuss what to do or mid argument with someone telling them to hold on that I need my serotonin levels raised in order to discuss this. They will think I am more of a nut than they already do-oh well. Give this a try and let me know what you think! Stress, stress, stress. We all experience stress and with all the holidays coming up I thought now would be a good time to address how stress really affects you physically and mentally and give you some tips on how to bust that stress away. Our bodies respond to stress both positive and negative, by trying to get back to normal. Depending on the stressor (whatever is causing you stress), hormones , like adrenalin, may surge. Your heartbeat and blood pressure will probably increase, your blood sugar rises and if you are lucky enough to be like me your entire body will be covered in hives. If stressful situations go on for too long without any relief, you might experience diseases and disorders, such as colds, ulcers, asthma, heart attack or stroke to name a few. You may feel tired, irritable, depressed or anxious and have trouble sleeping or eating. Research has identified the stress response as a factor in many stress related illnesses. Now there is evidence that stress can weaken the immune. The hormones cortisone and adrenaline released in response to stress are such potent suppressors of the immune system that they are sometimes prescribed for disorders in which the immune system is overactive-such as allergies and autoimmune diseases. The key is to take care of your body and your mind to avoid stress. When your mind is healthy, your body can resist illness better. When your body is healthy, your feelings are more positive. -Give your time to something or someone that you believe in. I do this with animal rescue and it really does work to alleviate the stress from other parts of my life. There is no better feeling than giving and helping others for the sake of being truly kind and caring. -Avoid excessive alcohol, caffeine, fats and sugar. Don’t Smoke. What you eat and drink really affects your body and by indulging in an unhealthy diet you are really just adding to the stress. I will be the first to admit that when I feel stressed I want diet Pepsi and chocolate so I need to work on this (hard, very hard). Have an apple instead of a cookie (this really sounds not very appealing but if it works it is worth a shot). -Exercise regularly. Whether you like to walk, do weights, or whatever it may be for you just keep moving . I always feel much better after a great workout at the gym. -Take time for yourself to relax each day. Meditate, go sit by the water, read your favorite book. Whatever it is for you that relaxes you take even 5-10 minutes a day to do this for yourself. -Learn to “let go” of things which are outside of your control. Learn to adapt to change. This one is hard for me a lot of the time because I want things to go my way and I keep trying so I need to work on letting it go. Hopefully you follow at least a few of these and they help with your stress levels. Good luck! Since I am in Costa Rica right now I invited a couple bloggers to do guest posts and Robin from Healthy Living kindly agreed to tell you a little about how she lost weight and some of her secrets. Robin has a great blog and I love stopping by. I hope you will too. Thanks Robin! Start your day the right way and get all the vitamins and nutrients you need! I recommend our nutritious shake for good health and weight management. Eating healthy doesn't mean depriving yourself! This is a healthy meal that provides an ideal balance of protein and nutrition to help satisfy your hunger and give you lasting energy. This is also heart smart for you with 25 grams of soy protein a day, as part of a diet low in saturated fat and cholesterol, may reduce the risk of heart disease. One serving of this healthy shake provides 9 grams of soy protein. For Weight Loss: Replace two meals daily with a healthy shake and eat one nutritious meal. Optimizing your daily protein intake can assist with feeling full and help maintain and build your lean muscle mass. Published research on meal-replacement shakes indicates that taking two shakes daily, as meal replacements, are effective for weight loss. Snack on healthy choices. For Healthy Nutrition and Weight Management: Enjoy 1 shake every day as a healthy meal. Published research on meal-replacement shakes indicate that taking 1 shake daily, as a meal replacement, helps maintain long-term weight loss. We recommend adding personalized protein powder to optimize your protein intake. A healthy weight-loss program should include modest calorie intake, balanced diet and regular physical activity. Formula 1 Nutritional Shake Mix comes in many mouth watering flavors, including Cookies 'n Cream, Pina Colada, Dutch Chocolate, Vanilla, Wild Berry, Tropical Fruit and our newest flavor Café Latte. It's scientifically formulated to give you the nutrition of a complete meal - satisfying your hunger and your taste buds for easier, healthier weight loss. * Up to 20 essential vitamins and minerals, plus health-enhancing herbs. * 9 grams of soy protein and healthy fiber. Before beginning any weight-control program, it is advisable to consult a physician. This is especially important for individuals with chronic kidney problems or insulin-dependent diabetes. I love Herbalife, I personally use their products and they are just a safer way to get healthier. I lost 35 pounds and was walking proof that the products worked. I am a proud Herbalife Independent Distributor. I hope to help many people to change their life and to live longer. Any questions, please let me know. You have to take care of your health, if you want to live your life to the fullest. All the money in the world means nothing, if you don't live to enjoy it. This is just food nutrition for your body. No prescription drugs here. I am so excited to introduce John from ezgreatlife as one of my guest bloggers while I am in Costa Rica. I know you will enjoy this!!!! Miss you all! Thanks John for doing this and I hope you will all stop by his blog like I do each day. By the way, John even wrote this with a broken arm. Now that is a true blogger and friend! As I began to approach 40, I realized that something about me had changed. Gradually changed. Fundamentally changed. It's as if I woke up one morning, just before Christmas 2007 and had an epiphany. I looked in the mirror and was smacked in the face with a reality check. There was more of me to love, considerably more! That's an indirect, polite way of saying that I had gained a lot of weight. Years of overindulging in my favorite dishes and neglecting my body had taken it's toll. I was really upset with myself for letting things get out of hand. I pondered what to do about it for several days. I came up with a plan of attack, based in part on what I had learned when I quit smoking almost 12 years ago. To me, the first step in dealing with a problem like the need to lose weight is making the decision that you REALLY want to lose weight. That may sound overly simple, maybe even obvious. But, many people "want" to obtain things like weight loss but are not serious and committed. They are not willing to make the necessary changes to achieve their goals. If you are not wholeheartedly committed, you will fail miserably. I quit smoking a half dozen times before I quit for good. The difference? I finally decided that I really wanted to quit and made up my mind that I was willing to give up the pleasures of smoking. It was not until I developed the mind set of being smoke free that I actually quit for good. The second step in my process was defining some clear goals. I decided to define three main goals to help reach my objectives. I began walking 2 miles a day, one in the morning before work and one in the evening. I adopted a puppy and made a deal with my daughter that we would help motivate each other. And of course, now we have a puppy who LOVES to go for walks. I dramatically increased my fruits and vegetables. I began eating several healthy snacks throughout the day to decrease my hunger. I try to cook some veggie meals every week, in place of meat dishes. I try to avoid junk food. This was a lofty goal at the time. I began this one on New Years Day 2008. I was able to achieve this goal on April 7, 2008. I was able to obtain this one mainly due to my mindset. That I was going to stick to my new eating habits and exercise program. And lastly, you have to just DO IT! Motivate yourself. Push yourself. Work towards the end result. Everything was going as planned, until mid-summer. I was very busy at work. My daughter was out of school, working and hanging out with friends. Our family settled into summer, hanging out at the pool and the beach on weekends. We cooked out on the grill every chance we had. To make a long story short, I fell off the wagon. We had a very fun summer, but now it was time to pay the piper. Fall had arrived. I was feeling REALLY guilty about letting everything go. I needed to get back on track and fast! I made myself a To-do list of things I had neglected around the house. I decided to get back on my diet and exercise plans. My daughter and I re-committed to help motivate each other and resume our daily walks. Things were looking brighter. I was feeling great. My wife and I decided to take the family to the mountains the first weekend in October. We planned a fun trip of sightseeing and hiking. At the end of the second day, while on a four mile hike, I had an accident and broke my arm. I was heavily sedated for two weeks. I gained ten pounds. I was feeling depressed. Something had to give. So here I am, a year later, almost where I started out. I have decided to pick up where I left off. Pull myself up by the boot straps. I am having trouble walking everyday, due to my arm continuing to swell (when not raised above my heart). I should get the cast off in 3-4 weeks and I will begin physical therapy. In the mean time, my son has offered to help get me back in shape. He is going to start walking with me and the dog. I have GREAT kids! It is going to be a tough road, but the end result is my motivation. Whether you want to quit smoking, lose weight or just start an exercise program, try the following. And when you suffer setbacks, revisit this list to help get back on track. There you have it. Simple right? As you probably know, it's easy to talk about, much harder to do. But with a good set of goals, persistence and a little motivation, you can and will achieve your desired results. As most of you know who read this blog-I love sweets. If it has sugar in it you can pretty much guarantee that I like it. I generally do try to keep my known sugar foods low so that my body does not raise its insulin levels and make my body start storing fat but what about those unknown foods where the food industry hides sugar? This is where things can get very tricky because although you may think you are being healthy and cutting back on your sugar intake you are in fact being sabotaged with foods with hidden sugar in them. I mean come on, if I am going to indulge in sugar I want it to be in chocolate (of course), cake, cookies-you get the picture-not some boring food that I think that I am being healthy and eating. Below are a few areas to keep an eye on if you are trying to cut down on sugar. By the way, did you know that the average American eats approximately 1,500 pounds of food every year and of that, 160 pounds are primarily sugar? Uh oh. 1. Spaghetti sauce. A half cup of store bought sauce can contain as many as three teaspoons of corn syrup or sugar. Some of the sugar is naturally occurring from the tomatoes or other vegetables but most is added. I recommend making your own sauce or looking for the brands that don’t include sugar. 2. Ketchup. Ketchup (which tops the list of things I do not like to eat or see) can be 20 percent sugar or more. Not to mention that you’ll get 7 percent of your daily sodium allowance in one tablespoon. Look for low-salt, no-sugar, brands. 3. Reduced-fat cookies. Most brands of cookies now offer a reduced-fat version of their product. But while you are thinking that you are choosing a healthier low fat version, check the label. Those sneaky food manufacturers may have taken out the fat, but they replaced it with sugar. Many times, the reduced-fat cookie is only slightly less caloric than the one you want to eat. And because there is no fat to make you feel full, you’ll be tempted to eat more “guilt-free cookies”. 4. Bread. Most processed breads, especially white hamburger and hot dog buns, can contain a good bit of sugar or corn syrup. That is what gives them the golden brown crust. 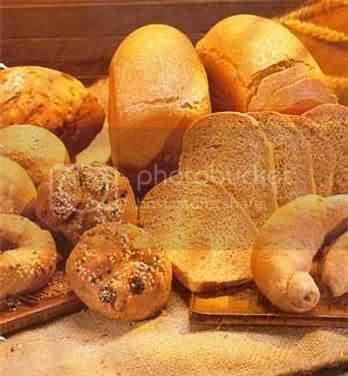 Try getting your bread at a real bakery or farmers market (I love the farmers market). 5. Low-fat salad dressing. Okay, this is where I get in trouble as I eat a salad almost everyday with this low fat stuff on it. Like the cookies, manufacturers have taken the fat out of the dressing, but they have added extra salt and sugar to make up for it. Check the label to make sure that you are not replacing heart healthy olive oil with diabetes-causing sugar. Make your own vinaigrette's using a small amount of olive oil, a gourmet vinegar or fresh lemon juice and herbs. 6. Fast food. I rarely if ever eat fast food and here is another great reason to at least cut back if you are a fast food lover. Everything from the burgers to the fries to the salads is a potential place to hide sugar. Check out the ingredients carefully before you make your choices. I could not have asked for a better blog week (and it came at a time when I needed it) so thank you t0 everyone who reads my blog, comments and passes on awards to me. You all bring me such joy through your visiting my blog and me visiting yours. Foongpc from My Very First Blog awarded me with the Butterfly Award and Chris from Living Well-Naturally awarded me with the Uber Amazing Blog award. I am so honored and touched because these are two bloggers that I admire and enjoy and this is just such a compliment so thank you!!! Please stop by these two wonderful blogs if you get a chance-you will be glad that you did! Now I have the very hard decision of selecting who to pass these awards onto (there are just too many great choices). These are the blogs that I have chosen and I hope that you will stop by and enjoy them as much as I do!!!!!! I hope everyone will stop by and visit all these great, great, great blogs!!! I will get back to writing about health on Monday I promise but these are just so fun.